By many historical measures, service opportunities have never been greater for auto dealers. In the last decade auto sales have boomed, creating an unprecedented service opportunity tailwind for the next decade. More factory scheduled maintenance programs are driving initial service visits. 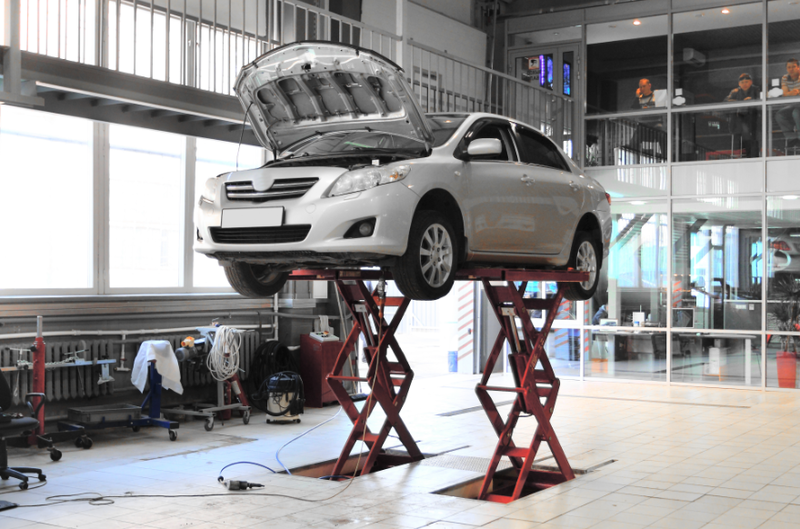 Increased CPO volume has created more reconditioning and used vehicle service business. Additionally, a rigorous recall environment is driving many customers back to franchise dealers. So why are dealerships losing service market share? From 2010 to 2017, one- to three-year-old units in operation (UIO) increased 48 percent, yet franchise dealership service and parts sales increased just 41 percent. Today, franchise dealers only capture 20 to 25 percent of the revenue potential from their UIO. To increase revenue per UIO, the focus must move from a scheduled maintenance mentality to one that provides customers with complete vehicle care. The importance of write ups cannot be underestimated. When the future success of your dealership hinges on its ability to analyze and use data, the data has got to be good. During the write up process, the more information that can be entered, the better. The use of mobile tablets in this process is critical. Many dealers complain tablets take too much time, but the reality is, a paper process is no longer acceptable. Instead of measuring the process as fast vs. slow, measure it as informed vs. uninformed. Here’s a good guideline. If your process is poor, it will take more time to complete it using technology than it did with paper. If your process is good, it will take less time to complete it with technology than it did with paper. Is there an open recall? Are there declined services from last time? What are recommended services/repairs on a vehicle like yours? The answers to the first two questions can easily be found using a mobile tablet integrated with your DMS and OEM communications. The answer to the third question is a bit tricky. As an industry, we rely heavily on MPIs to identify necessary repairs. The problem is technicians aren’t paid to do MPIs, they are paid flat rates per job. Is it any wonder they don’t always take the time to perform a thorough inspection? As a result, technicians rely on their learned knowledge base and memory to check for repairs commonly needed for your vehicle brand, based on mileage. However, their knowledge base isn’t as helpful when servicing other brands. Today you should be leveraging data to provide customers with recommended repairs in a vehicle similar to this. It’s possible for techs and advisors to receive these types of notifications right on their tablets, regardless of the year, make or model of the vehicle. This greatly increases upsell opportunities. Dealers can no longer expect to see customers every 3,000 miles. Today’s average length between service visits is closer to 10,000 miles. When your customer leaves, plant the seed for the next visit. A complete MPI process will identify potential service opportunities within the next 10,000 miles. Before your customer leaves, email or print out and hand them a list of service recommendations for the next 10,000 miles. Additionally, ask the customer is they’re planning any trips with their vehicles, which may shorten the expected time of their next visit. At every step of customer interaction, the data you collect and store should be integrated into a marketing strategy designed to drive the customer to the next stage. From needs notification, you should have the ability to track how many customers scheduled an appointment. During the scheduling, write-up and in-service notification processes, customer interactions and preferences are gathered. All this data can be used in the post service follow-up process to lay the groundwork for the next needs notification. The use of predictive analytics to create highly targeted and relevant offers will further maximize revenue potential. Capturing more service from current customers is simple in theory but requires diligence to execute. These processes have been around forever and your service staff “know” how to do them, which is why it can be extremely challenging to make any changes. The only way to ensure the necessary change is with the use of data and accountability.